The Louisiana Legislature passed 10 bills in 2017 that are known as the Louisiana justice reinvestment package. Justice reinvestment is a data-driven approach to criminal justice reform that decreases incarceration, saves taxpayer money on corrections, and reinvests those dollars into initiatives that reduce crime. In their first year of implementation, the changes are already proving successful. Justice reinvestment is necessary to achieve true criminal justice reform in Louisiana. Our taxpayers spend hundreds of millions of dollars each year on the criminal justice system, with little return on their investment. Louisiana has the second-highest incarceration rate in the world, but locking up people at a higher rate than other places has not made us any safer. The package to improve Louisiana’s criminal justice system had bipartisan support from lawmakers, district attorneys, sheriffs, judges, crime survivors, formerly incarcerated people, the business community, and other criminal justice system stakeholders. Sixty-one percent of Louisianans approved of it. We must continue advancing Louisiana down the path of public safety and smart justice, because justice reinvestment works. • Louisiana has already reinvested $8.5 million in criminal justice improvement, keeping its promise to devote 70 percent of the cost savings to local programs that will prevent crime, help formerly incarcerated people re-enter society, and improve support for crime survivors. $4.2 million was provided to local corrections programming that assists people preparing to leave prison. $2 million was granted to community-based organizations working with formerly incarcerated people. $1.7 million was dedicated to services for crime survivors. $500,000 was given to drug and re-entry court programs. • The justice reinvestment package has reduced the average case load for probation and parole officers by 5.3 percent, making community supervision more effective, and reducing the likelihood that people will re-offend. • A task force is overseeing implementation of the package to ensure that reforms and reinvestment efforts are making Louisiana safer. • Crime has gone down in other states that have implemented justice reinvestment reforms. Texas: Since the adoption of its 2007 reforms, crime is down 29 percent, and the rate of imprisonment is down 16 percent. South Carolina: Since the adoption of its 2010 reforms, crime is down 25 percent, and the rate of imprisonment is down 22 percent. North Carolina: Since the adoption of its 2011 reforms, crime is down 31 percent, and the rate of imprisonment is down 8 percent. Georgia: Since the adoption of its 2012 reforms, crime is down 24 percent, and the rate of imprisonment is down 6 percent. • At $625 million annually, Louisiana’s third-highest expenditure is adult corrections. • Louisiana was initially projected to save $262 million over the next 10 years as justice reinvestment policies are implemented. In the first year of implementation, the state saved $12.2 million, doubling original estimates. 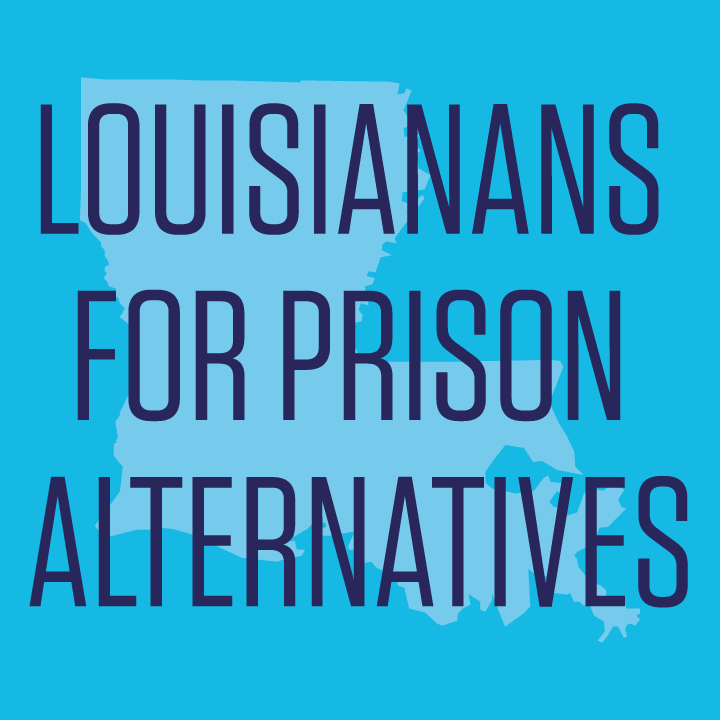 • If Louisiana decreased its incarceration rate so that it matched the incarceration rate of the state with the next highest incarceration rate (Mississippi), Louisiana would save approximately $10 million dollars annually. • Louisiana’s prison population is expected to decrease by at least 10 percent over the next 10 years through justice reinvestment initiatives. As of March 31, 2018, the state prison population had dropped 7.6 percent. • The 2017 package expanded probation, parole and prison alternatives, while prioritizing expensive prison space for those who pose a threat to public safety. The number of people in prison for nonviolent offenses is down 13.9 percent. • Re-entry is a challenge for everyone who is released from prison and into poverty. The package reduces some financial pressures on people who are released from prison by delaying some financial obligations, and reduces the number of people returning to prison. Money saved by reducing the prison population can be reinvested into programs that support this difficult transition. If we fail to protect the justice reinvestment package, Louisiana will revert to its reliance on mass incarceration, and will not be able to afford the data-driven solutions it needs to improve public safety. The opportunity to save tax dollars and reinvest in programs that will prevent crime, build up our communities, improve public safety, and help victims, could be lost.